Everyone in the U.S. knows their local CVS pharmacy but most don’t realize there are 4 other businesses at work. 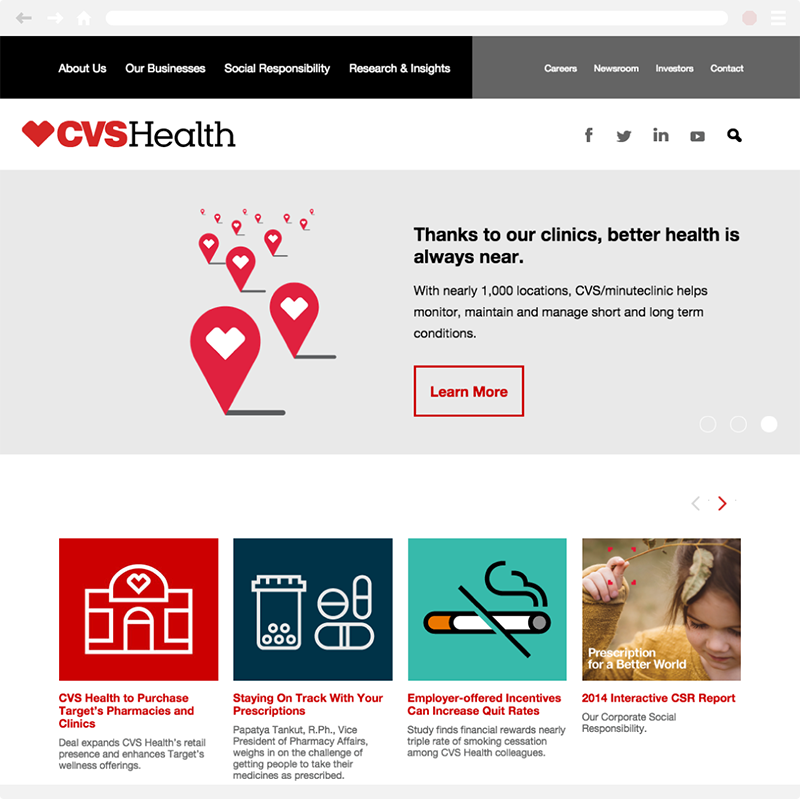 Siegel+Gale had been working on the recent umbrella company rebrand of CVS Health and tasked me with creating a large scale iconography system for any and all uses. By the end, I created nearly 150 unique icons.